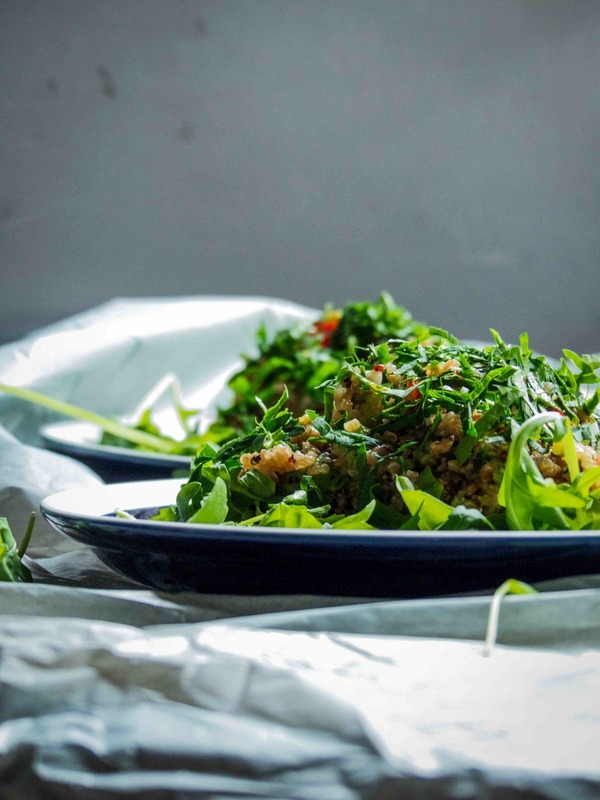 Tabbouleh Quinoa Salad & A Sneak Peek of "lil sweet things"
Blogging is hard, I said it once and I'll say it again. This is definitely not something easy that I got myself into. In the beginning, I was just thinking to share my recipes with others especially those who live in HK. I wanted to show that it is possible to practice an accessible and affordable vegetarian lifestyle in this ultra-densed city. And then one thing leads to another, I am now developing vegetarian recipes and shooting for some clients on the side. Honestly, I'm a little embarrassed to take up such role. That's because I've never studied photography nor culinary before. I'm just strolling along with my personal passion and interest. I am indeed grateful for the wonderful opportunities. Not everyone is given such privilege to do what he/she loves and be able to get paid a little on the side. I should embrace every chance I get and learn to improve in every aspect of this whole blogosphere as I go along. I know it isn't easy but it's got to start somewhere, right? This past weekend, I helped photograph a dear friend's delicious cookies and cupcakes - lil sweet things. lil sweet things is a local online cake shop and workshop run by Lillian Leung. Lillian was one of the co-founders who helped me launched ms food division in the early days. She was in charge of the dessert part. Recently, she has started her own online cake shop, catering, and cooking classes. Her workshop is ideal for people of all ages who love pretty sweets. I had so much fun shooting her beautiful cakes this past weekend. I would do it again if I am given more time before the Green Monday's trip. Oh yeah, I just got appointed to help photograph Green Monday's Milan trip next week. I'm so excited and nervous at the same time. I hope my photos would turn out ok. Fingers crossed. Those buttery cookies don't just look pretty, they taste superb, too. Little surprises from these piñata cookies, my niece felt in love with them instantly! 1) Mix the cooked quinoa, chopped tomatoes, cucumbers, almonds, and parsley with dressing in a large bowl. 2) Add arugula and a twist of fresh lemon juice before serving.